FUD Or Real Conspiracy To Destroy Bitcoin And Bitcoin Cash To Take Over | BCH $2500 All Time HighsteemCreated with Sketch. 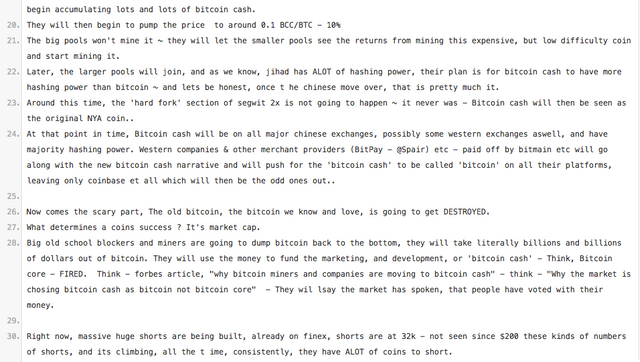 In the video the author is reporting on a forum entry he found from Aug 2, 2017 where an unknown person is warning about a plan to destroy Bitcoin and replace it with Bitcoin Cash. 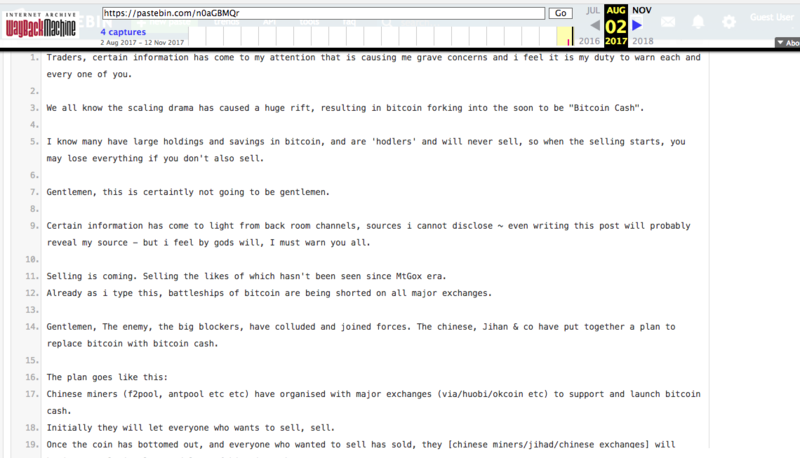 What I found particularly interesting was that this person said segwit 2x wouldn't happen. This was back at the beginning of August. As I mentioned up front, I'm in the process of trying to learn this stuff, so I have no idea if there is any merit here, but thought I'd put it out there to see what people who have experience might know or think about this. And I suppose if there is truth to it, anyone who sees this can act accordingly. honestly, am also naive of what is going on with BTCH ATH.thanks for sharing anyways. A week ago, a person I know told me to BUY BCH, but I didn't gave him much attention since i didn't understand why ... well today I know, at least I bought when it was ~800$. We live in very exciting times, the whole cryptocurrency-sphere is so young, but this feels like a very big war lol. Is this a big conspiracy? Or what is happening? I can't find the right words to describe this feeling I have. Well, once I will tell my children how the big 'BTC-BCH fight' was back then and they will read about it in history books in school. I feel like my head is spinning trying to figure out what's going on.